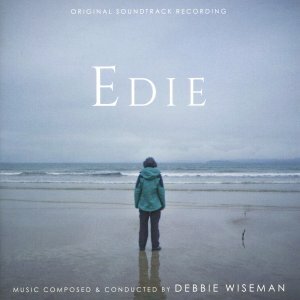 You may not have heard of Debbie Wiseman, but you’ll certainly have heard her. The sought-after, award-laden British film and TV composer has penned tunes for everything from The Andrew Marr show and Children’s Hospital to major motion pictures such as Wilde and Haunted. Highlights here include the exquisitely plangent theme to 2011 Middle-East-set drama The Promise. Wiseman started playing the piano at seven, studied it (and composition) at the Guildhall School of Music and Drama, and still begins her every commission by tinkling the ivories – she is therefore as relaxed and assured in her performance as you’d expect. There’s a gentle lyricism and intimacy in in every carefully chosen note. Indeed, she describes this album as the most personal she’s ever done, showing, as it does, her soundtrack work in its purest form, the way it appears in her head ‘without the bells and whistles’. Wiseman can (and often does) make a bad film/TV show worth watching (hello Lesbian Vampire Killers). She’s one of the country’s biggest composing talents and this album will be a perfectly-mannered guest in your home. 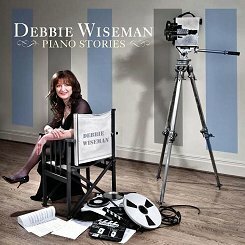 Debbie Wiseman is one of Britain’s most in-demand composers for film and television,and a glance through the list of titles on this CD surely confirms her pre-eminence in this field of the arts. 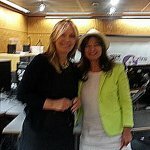 Not only is she a gifted composer, but she is also an accomplished arranger and conductor, as well as being a fine pianist. It is the last of these talents that comes to the fore in this new CD (scheduled for release on 19 September), allowing us to hear how composers originally conceive some of their greatest works on the piano before they are subjected to the full forces of a large orchestra. In the booklet notes Debbie writes that this album is the most personal of all that she has released so far because it features her music as it first appears in her mind. The venture has been very close to hear heart; her piano conveys such emotional feelings, both tender and sometimes quite strong, and her beautiful playing will surely touch everyone who hears it.